Crayola 64 Count Crayons Only $2.99! You are here: Home / Great Deals / Amazon Deals / Crayola 64 Count Crayons Only $2.99! 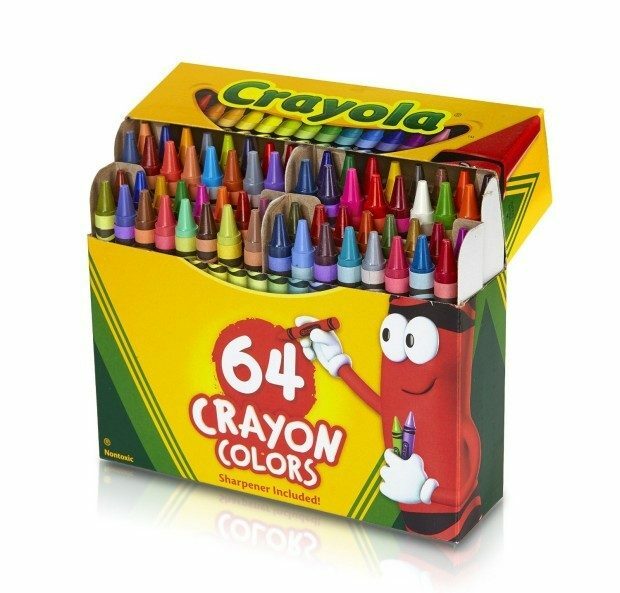 Head to Amazon to pickup the Crayola 64 Count Crayons for Only $2.99! 64 different colors spanning the spectrum! Appropriate for kids 4+. Features a built in sharpener. Flip-top box and tiered sleeves for easy access. Makes a perfect gift, this box provides hours of creative coloring fun. FREE Shipping for Prime members or get FREE Shipping on orders of $35+!